There seems to be a rising theme in young adult cinema to emphasize the power of the individual. In movies and books like “The Hunger Games”, we see a hero or heroine who stands up to an oppressive state to create real change and empower others. This is particularly emphasized in the film “Divergent”, which revolves around the idea that the individual is capable of doing amazing things. In this dystopia, every individual is divided into 5 factions. One faction is security-Dauntless, one is empathy-Abnegation, one is knowledge-Erudite, one is judgment-Candor and one is peacemaking-Amity. They categorize each individual and stereotype them into a certain faction where they must remain for their life. Each child is required to take a test that categorizes them into one faction. Ironically, they are allowed to choose a different faction at the choosing ceremony, but the test results are supposed to guide them on their path. This illusion of freedom to choose is a major factor in socialized systems. Humans must feel in control of their destiny or life situation. In order to control their behavior, they must be given the illusion of choice. The main character, Beatrice or Tris, is a divergent. They are individuals who do not fit into the faction categories but instead see the world differently and display all of the traits of the various factions. Society has always portrayed this idea of the ideal citizen. The state needs citizens to follow the rules and fit into their little boxes in order to keep themselves in power and control. The leader of the Erudite recognizes this to Tris when she says “The system removes the threat of anyone exercising their independent will. Divergents threaten that system. It won’t be safe until they are removed.” The faction system essentially ensures slavery. If individuals are confined and convinced that they are incapable of becoming or creating a better life for themselves they will not aspire to bigger and greater things. This is the greatest flaw of the welfare state. It is structured to hold individuals down as a collective that can achieve nothing greater than what they are given from the state all the while giving more power to those in charge over every facet of their lives. Although the film does not delve too much into the idea of education, it certainly does not make a good case for standardized testing. Many of the Common Core standards today are meant to put students on an early career path. The creators of the standards use the phrase “work force ready” to describe the publicly funded job training that will happen under Common Core schooling. 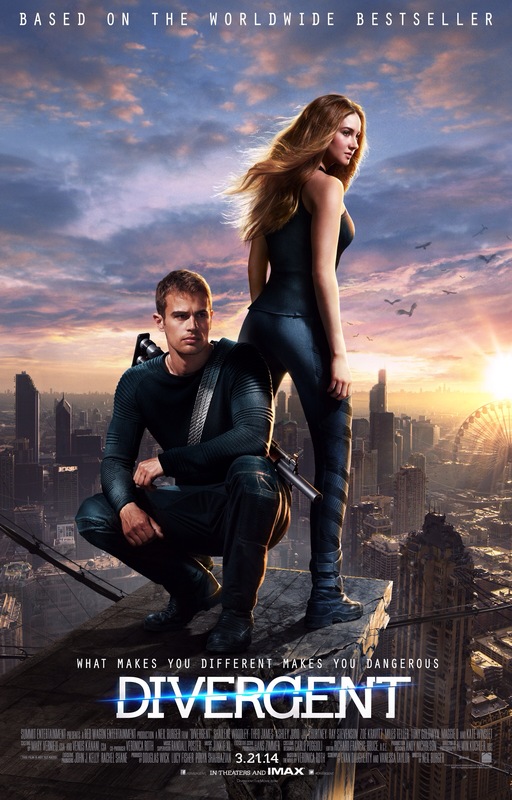 When Tris leads a group to stop the leader of the Erudites from taking control of the other factions, she shows them that they are capable of achieving the same physical requirements as Dauntless. She shows them that they have always had these traits within them but have been told and brainwashed otherwise. We as a society are trained and brainwashed to believe that only a few are destined for greatness. Only the very smart or very rich can become doctors and lawyers. We buy into the idea that the neighborhood that you come from determines your outcome in life. We as individuals are responsible for the outcomes of our lives. We have free will to make decisions to choose which path we will take. We are all divergents. I firmly believe that a centralized government fears nothing more than individuals who refuse to participate in their system of control. The non-conformists are demonized as the anarchists, outcasts, and weirdos that are crazy and should be shunned. Human nature instinctively wants to be part of the group. Our ancestral desire of safety in numbers pushes us to want to fit in with everyone else so that we will belong and be accepted. When society, however, is pushing ideas that infringe on the liberties of others and use the force of the state to prevent people from exercising free will, it should bother us all to the point where we go against the grain, stand out from the crowd and create some trouble within our own factions. This entry was posted in Movie Reviews and tagged Common Core, Divergent, individualism. Bookmark the permalink. Should the executive branch be forced to enforce all legislation?